Hi! Michelle here (Kimmy’s sister). 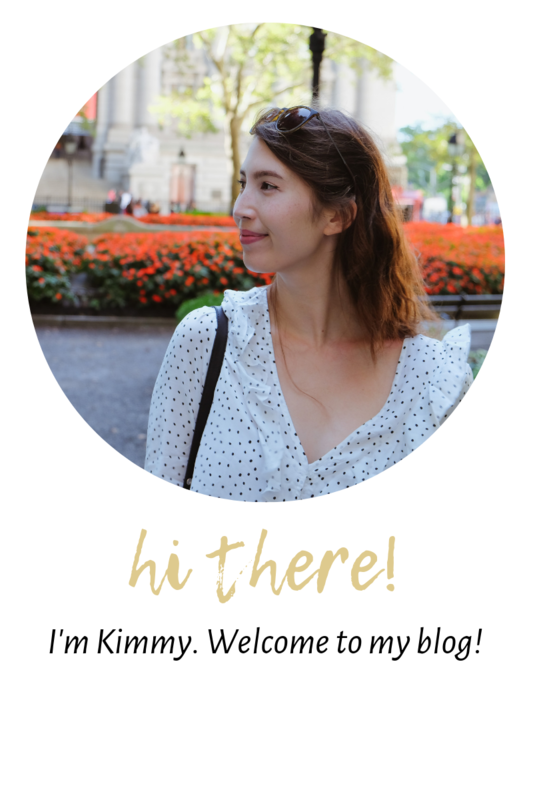 I’ve recently returned from two weeks in Vietnam and Cambodia, and Kimmy has asked me to write a series of guest-posts for her blog. This is my first foray into the world of blogging, so you’ll have to bear with me (and I apologise if I make any rookie blogging errors!). I’m also more of a writer than a photographer (all photos were taken on my trusty iPhone) so my blog will be a bit different to what you’re used to on here – I will try to give a little bit of information on each place, and hopefully impart some helpful hints and tips along the way. We had to squeeze our Vietnam/Cambodia visit into two measly weeks (boo to work and annual leave restrictions!) so by no means did we see all there was to see. We visited at the end of March and decided to keep to South Vietnam (as the weather further North was a bit iffy) but I’ve heard from numerous people that Hoi An is beautiful, so it is worth venturing further North if you have time. So, what did we get up to? We flew from London to Ho Chi Minh (known colloquially as Saigon), then travelled over to Siem Reap in Cambodia, on to Phnom Penh (also in Cambodia), and finally down to Phu Quoc (back in Vietnam). Travelling around was surprisingly easy, with the majority of people being friendly, helpful and speaking very good English. Details of each place will be spread over a mini-series with links at the bottom of each post, so you can read all of our adventures or just the bits that are of interest to you. We knew nothing about Saigon before we arrived, and it was completely different to what we expected. We’ve travelled to several parts of Asia before (mainly in Thailand and Malaysia) and Saigon was unlike any other city we’ve experienced. Vietnam was under French rule for 150 years, and it’s uncanny how similar Saigon is to Paris. Picture beautiful landscaping, French colonial facades … accompanied by 38 degree temperatures and more motorcycles/mopeds than I have ever seen (and I’ve been to India!). We stayed at the Aristo Hotel, which was about half an hour from the airport and close to most of the tourist attractions. The rooms were a good size and clean, and drinks from the mini-bar were reasonably priced (we struggled to find a 7-11 here, although admittedly we didn’t look very hard!). War Remnants Museum: This is a must-see if you go to Saigon, and takes around 2 hours to visit. We found it fascinating learning about the Vietnam War, together with details of Vietnam’s recent history. The museum houses a lot of moving images from the war, including those depicting the effects of Agent Orange. (Some of the photos are pretty graphic, so this museum may not be suitable for younger children). The American helicopters and tanks that were left behind are on display outside, together with a recreation of a PoW prison that you can explore. Cu Chi Tunnels: Located approximately two hours from Saigon, the Cu Chi tunnels are where the North Vietnamese soldiers hid from the Americans during the Vietnam War. It has been turned into a tourist attraction (which, in my opinion, takes away slightly from their historical significance), but it is interesting to see none-the-less. You are able to go inside a section of the tunnels if you want to experience what it was like – this was too scary for me, although our tour guide forced me to pose for this photo, which was plenty scary enough thank you very much (you can’t see here, but the steps were really uneven, and I’m clinging on for dear life to escape falling to certain death). Reunification Palace: This is where the tank crashed through the gates in 1975, symbolising the fall of Saigon to North Vietnam. Nowadays the building is used for government meetings, but tourists can still walk around and explore. Saigon Central Post Office: This is a beautiful old building that was constructed during the French occupation, and is still a functioning post office today – not to be confused with the post office sorting office, which backs on to the Central Post Office and is altogether less impressive (we were stood scratching our heads wondering why this was a tourist attraction before realising we’d got the wrong PO …oops). Vietnamese coffee – you have to try it. It’s like rocket fuel and made with condensed milk so it’s wonderfully sweet. I liked it best cold over ice. I was trying to cut caffeine before my trip but this got me firmly hooked again. Vietnamese people love their coffee, and there are coffee shops EVERYWHERE. Starbucks do green tea frappicinos (this is the same in Thailand too). These are nothing like the disgusting green tea latte they do in the UK. Whenever I travel to Asia the first thing I do is hunt down a green tea frapp … followed by hunting down a Milo (if you don’t know what Milo is, head to Burger King and get one … I couldn’t find the boxed stuff in Vietnam, so BK was the only place I could get my Milo fix). Check the weather before you book a trip, and be mindful that different places in Vietnam have different climates. When we went, the South was nice and sunny whereas the North was cooler. The rainy season in the South starts in May, so although it was starting to get a bit wet in the evenings, the days were still dry. Visas – the Visa system in Vietnam is a tad confusing, and you must sort your visa before you travel (we did actually see a ‘visa on arrival’ desk at the airport, but this isn’t standard practice). If you travel from a set list of countries (the UK is one of them) then the first entry into the country is ‘free’ and no visa is required (assuming that your visit is for less than 15 days). This arrangement is currently only in place until 30 June 2017 though so I would recommend checking the Vietnam Embassy’s website before you travel. We left Vietnam after two days, and returned a few days later – and so we needed a visa for the second entry. We got an e-visa online for $25pp, which we printed off and took with us – this is only for single entry (there was a bit of confusion over whether we needed a single or multiple visa, but the single was OK) and you can only get an e-visa if you are entering Vietnam through a set list of entry points (see what I mean about confusing??). If you are going in and out a few times you will need a multiple entry visa, which you can get from your local Vietnam Embassy (in our case, London). You can also get single entry visas from here, but they are much more expensive ($80pp). Be careful applying for visas online, as there are a host of companies purporting to grant visas, but which actually just steal your info – make sure you go to the official Vietnam Embassy website. Crossing the road – OK, so you probably read that thinking ‘I know how to cross a road’, and by no means do I intend to patronise anyone. But if you wait at the side of the road for a gap in the traffic, or for the traffic to stop, you will be waiting there forever. Even zebra crossings aren’t your friend here as they won’t stop the endless stream of cars and mopeds. To cross the road you just have to … walk out. Into the path of oncoming traffic. I struggled massively with this, with the urge being to scream, close my eyes and run – my husband was much better, so I left navigating crossing the road to him. The idea is that you watch the flow of traffic and step out into the gaps, even if you can’t get across the entire road at once. It is common for people to stop in the middle of a road waiting for a gap to appear (the first few times this feels awful … standing there whilst traffic hurtles towards you, but the drivers know you are there and surprisingly you do make it across in one piece). The important thing to remember is not to run – or do anything unpredictable. The drivers navigate around you by assuming you’ll behave like a normal person crossing the road, not like a crazy Westerner running for their life! If this all sounds too much, then just hang around a local and go when they go (we employed this tactic when crossing particularly hairy roads). And that’s the end of my first blog post – phew! Hopefully some of the info is useful for anyone planning a visit. The next posts in the series will be shorter (promise!). By no means am I an expert in Vietnam travel, but if anyone has any questions please feel free to ask!